The GEFS aren't great, it has to be said. Quite a steady rise in upper temps into the extended period compared to previous suites. I can't recall exactly what previous ensembles had been showing but taken at face value the ensembles still don't look too shabby. London 850's on the downward trend towards -5 and barring a brief recovery, the mean keeps them down around there until the start of December but also stays sub zero for the entire run from there on. With regards to the Scottish graph, the 2m temperatures as you have shown goes a stray in terms of the op run, but again the mean, op and control all have those 2m temps at 0C or below for the vast majority of the period up until 2nd December which is 8 days away and leads out of anything sort of reliable by that point. Looking at the reliable time frame, and semi- reliable time frame, and considering that we are still over a week away from December, then the positioning we find ourselves in is pretty promising and certainly more akin to we would want to see. Also if you compare 850's for Aberdeenshire for example for the same time frame, it's the same story, 850's remaining -5 or below on the op, control and mean up until around the 2nd of December, barring the brief blip around the 27th, 28th November, but out beyond the 2nd Dec is anyone's guess, within the reliable though it certainly looks promising. Admittedly they may look slightly worse in terms of previous ensembles, I couldn't say for sure, but on face value, I certainly wouldn't argue with what is being shown so far for the reliable period and as you say, hopefully not a trend of the temps creeping up as we go forward into the unknown. EPS46 (i think from the 0z yesterday) and the extended EPS from the 12z yesterday are both showing a colder than average period after T240 for much of Europe, including the UK. I won't try to go after 15 days, as it is a largely pointless exercise. Yes and ECM ensembles were cold with Op very much on the mild side. Meanwhile neither GFS nor UKMO climbing down this morning - both sticking to their guns. This is the 3rd consecutive run GFS has gone for this sort of set up. Probably an ice day for some under that ridge. I'm thinking the ECM Op this morning will be closer to the control from the 12z. 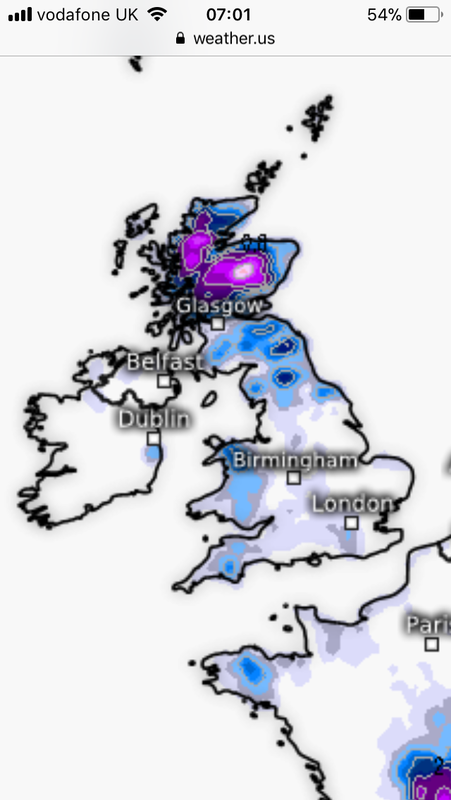 Will see where it goes, but thinking those -8 uppers will be staying in Scotland only and -4 to -6 elsewhere. It is still a little early in the year for widespread snow from that. Fair enough but GFS looks like it shows -5 to -8 widely over a prolonged spell for much of the country to me, we will get a better idea on the ensemble graph. This really is about as good as it can get with the current set up from GFS regardless. 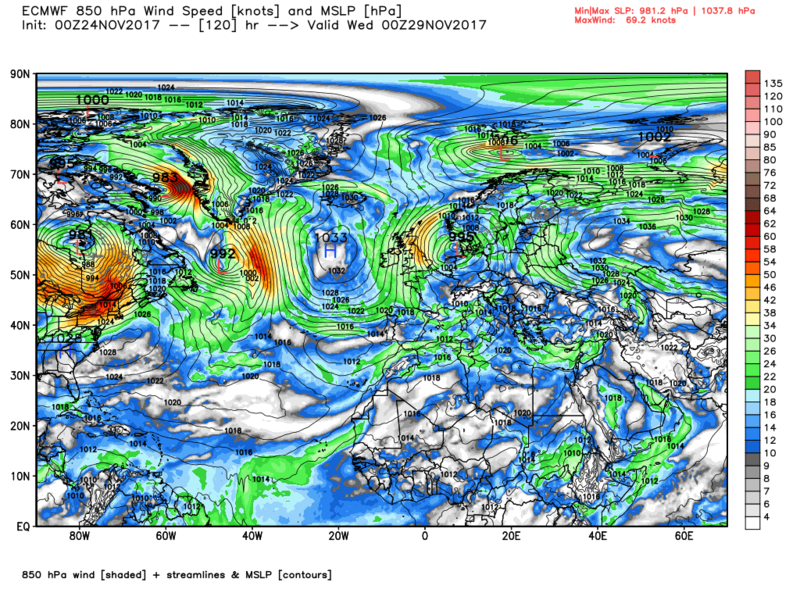 GFS looks a bit of a stunner to me in all honesty. Very cold at the surface by that point, regardless of uppers. Very interesting energy looks like it wants to slide southeastwards on a negative axis with a wedge of +ve heights to NW undercut alert? Things are really getting interesting now. The ridge is just far enough West so uppers are even cold beneath it Crew - think that would be an ice day for most. 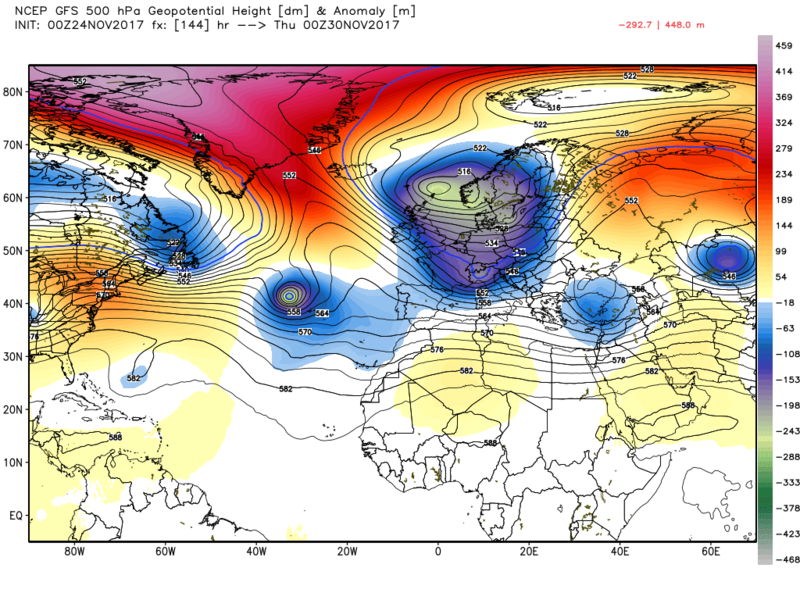 GFS ensembles are improved over 18z set to the mid term with more amplification overall. 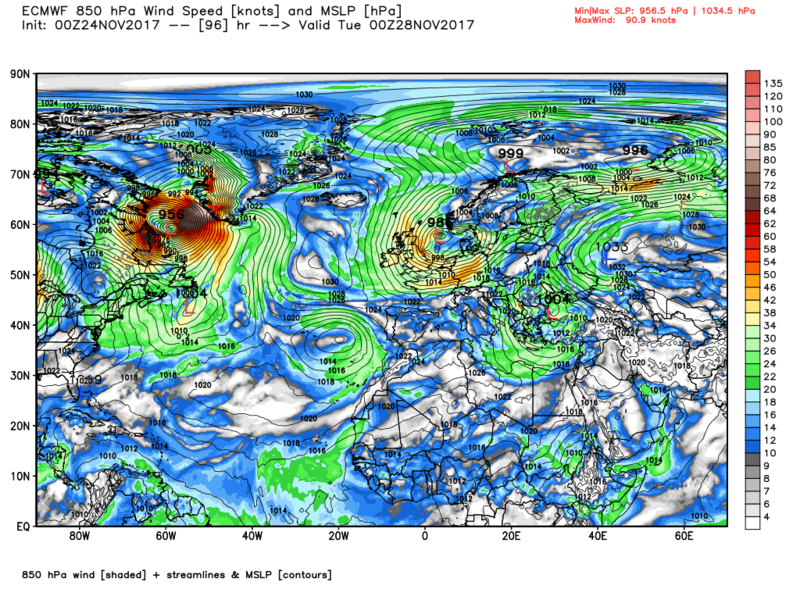 GEM, not unlike GFS, considering a cut off Icelandic high in FI. lets consolidate the output today in the 72-96 range just to make sure we have no late dramas!!! 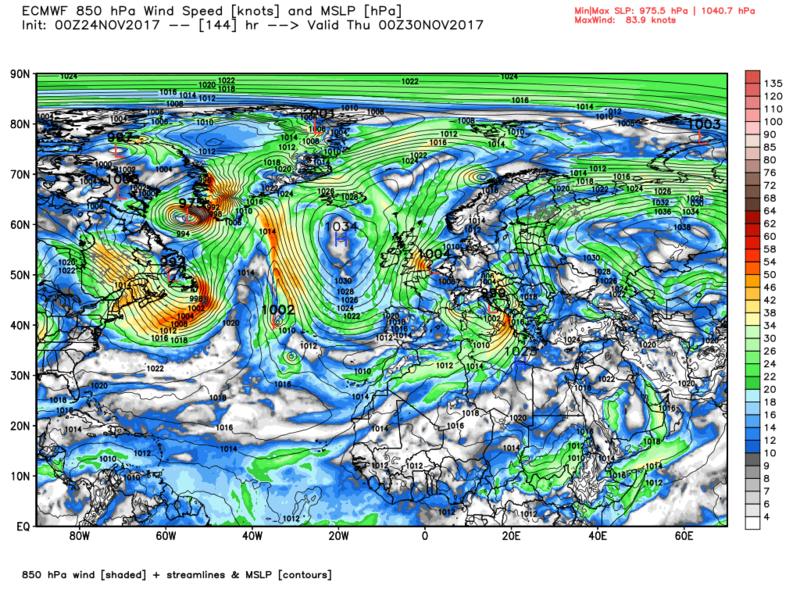 The gfs is very impressive, the ukmo is ok. Here is t144 for both and it is all about how far north the ridge goes and if it stays or ends up over us. We we have a period of cool/cold on the horizon but gfs shows how this would/could turn into something memorable. To my mind the ukmo isn't there. Will it get there? Interesting ecm to come but either way it's not a done deal. Fun in watching this unfold, let's hope it leads to fun times for us cold staved coldies. Great runs this morning again but I've only one problem when does gfs out perform UKMO @120hr for it has arctic high link up and is clearly the better option with snow showers for many along with negatively tilted ridge ready to cut later on. Very happy with this 00z runs- obv GFS is ideal but ukmo although not as good (high ridging in closer) still looks ok at 144, we have some sniff of Atlantic undercutting. 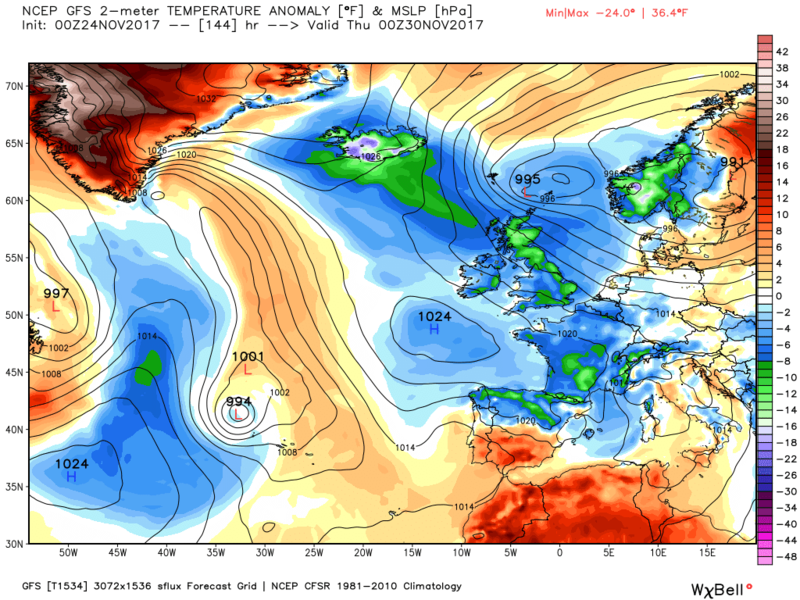 Cant see an easy way back for the Atlantic on either model- hopefully ukmo would go onto show a cold high in the extended. 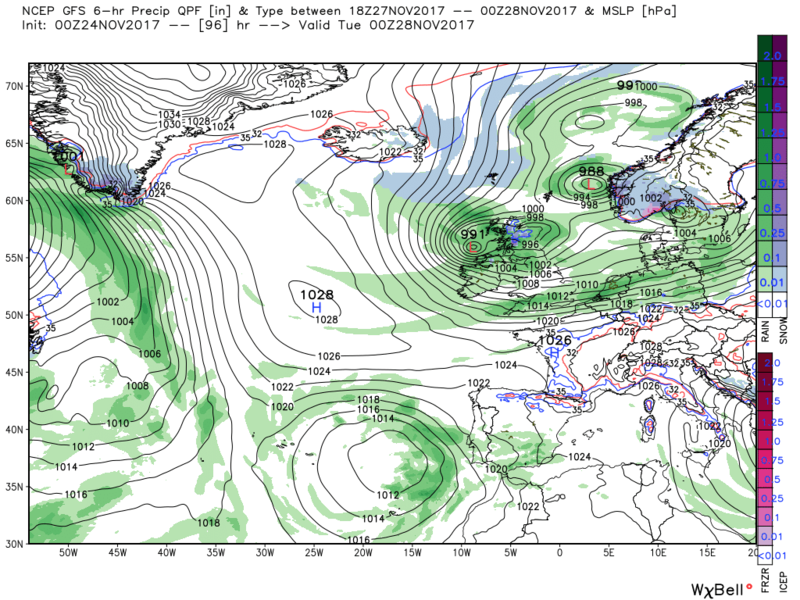 Over the next couple of days the UK in an unstable north westerly airstream, courtesy of a deep low around the Norwegian Basin, giving frequent squally showers in the west which in N. Ireland and Scotland will be very frequent and often of snow even down to low levels. In these areas there will also be quite strong winds, The exception to this early on will be the SW & S of England which will be cloudy with sporadic rain. Feeling cold in the blustery wind particularly the further north you go. Sunday a much quieter day as a ridge pushes in from the west but this is very transitional as by Monday 00 a front and wave depression have already impacted the north west (the low tracking a bit further north than yesterday) accompanied by rain Over the next 24 hours the front traverses the country south east as the low deepens and tracks east into southern Norway. 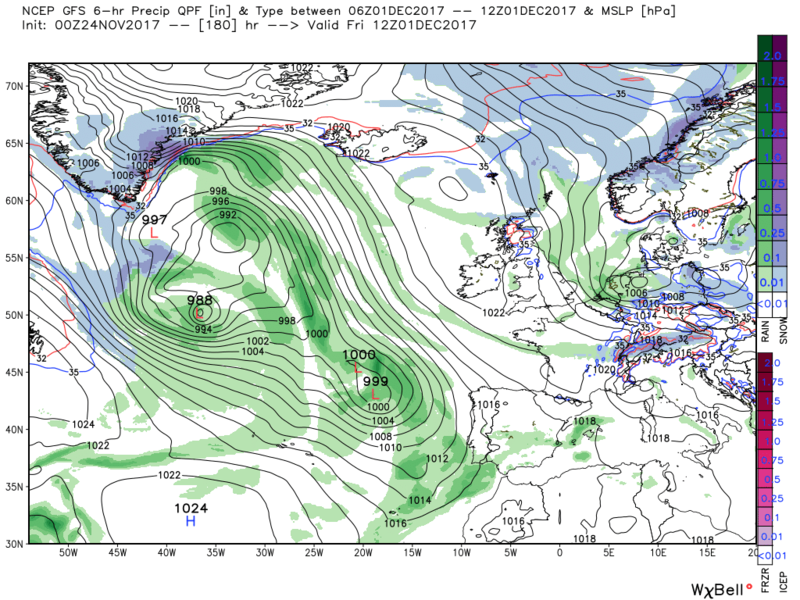 Simultaneously another low has swept in from the north west, phases in with the main trough to the north east, and is over Scotland by Tuesday 00 and this time should dump a fair bit of snow on the high ground, and even lower fround, in N. Ireland and Scotland. 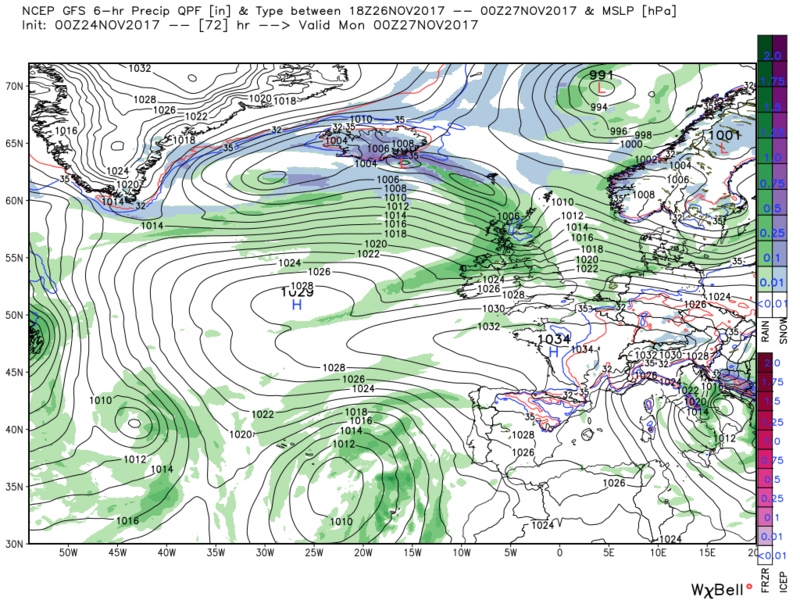 By midnight Wednesday the low has tracked south east into Denmark and with the high pressure amplifying and ridging north in the west the UK is plunged into a chilly northerly. But the main upper trough to the north east is very active and spawns a number of surface lows as it puts the ridge to the west under pressure and by 00 Thursday one of these is tracking south into the North Sea which backs the surface wind across the UK whilst at the same introducing colder air. This could well produce wintry showers further south and thus snow on the higher ground of NW England, Wales, the midlands and the south west. More of a half way house to my mind. Edit. 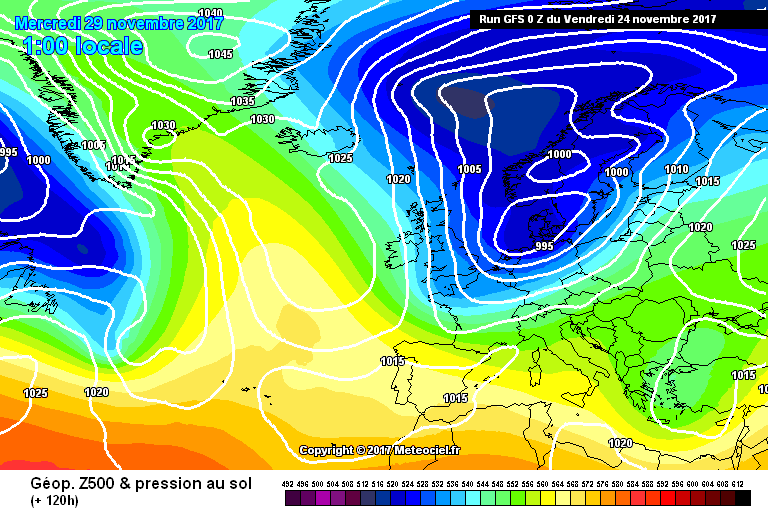 T168 on ecm is not bad for the 1st of December!! GFS vs ECM at 120, both looking good but the GFS has the stronger Arctic high which helps get the colder air to us quicker , however the ECM block looks stronger in the North Atlantic. Beyond this will depend on the position and direction of the low NE of Iceland, will that move west and cut of the Arctic air or head South/South East and help us tap into a Siberian air source and maybe give us a Scandy HP!! 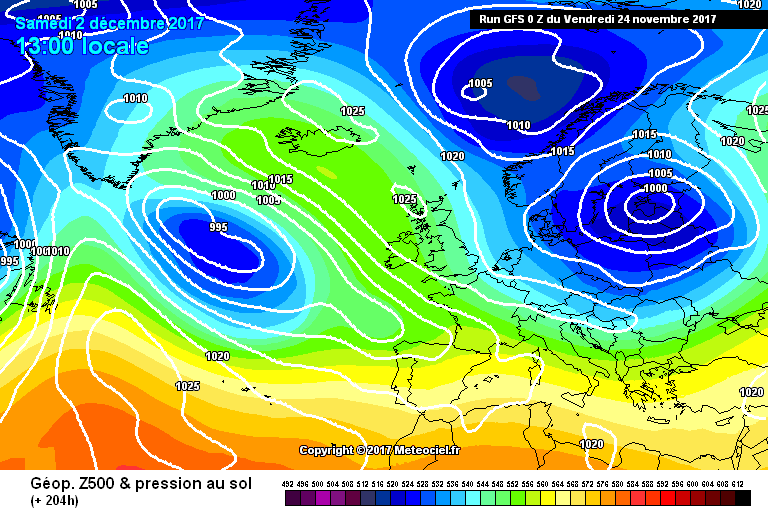 ECM at 168, surely the east/SE would see plenty of snow showers in this, pushing inland on a strong wind. Great chart with -6/-8c uppers. Not going to post individual snaps per frame from the 00z suites....as there are far to many good ones available!!.. Just to say quickly...all in all a tremendous set on offer.  The anti is uping...and maybe dramaticly so. Lots on offer if cold/wintry is your thing. Some snow from the ec, a nice sprinkling for quite a few. Certainly not bad for snow depth for the first day in winter. It’s now in the semi reliable so not to be entirely discounted. 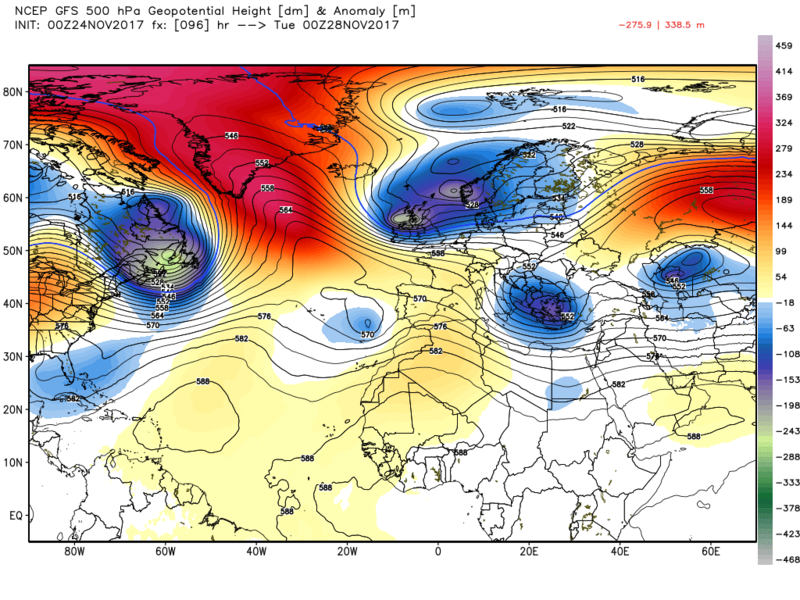 The ecm deviates quite quickly from the gfs. At Monday 00 it has the front starting to impact north west Scotland but it is tracking the wave further south and snow on the high ground in Scotland is on the cards. 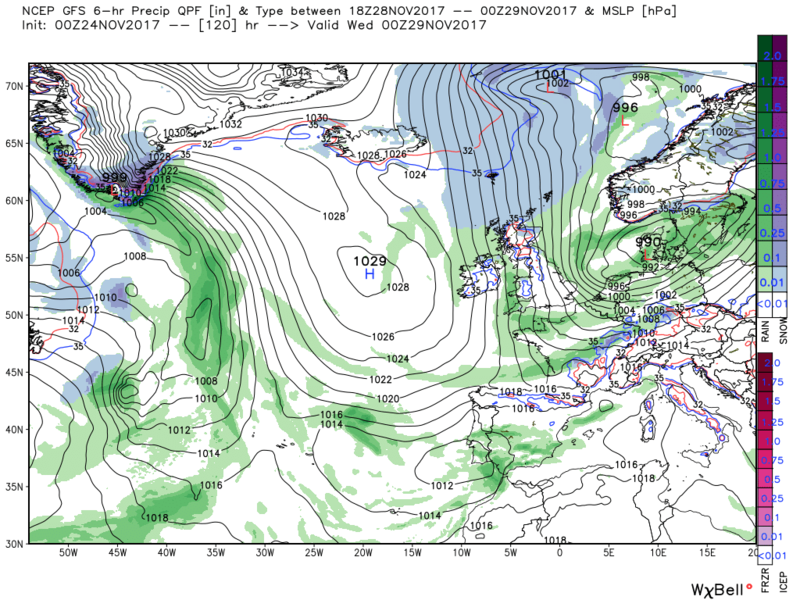 The front and rain quickly cross the country during Monday and by 12 Tuesday the low has tracked south east into the southern North Sea. With the high pressure amplifying north into Iceland a northerly airflow is initiated over the UK, albeit not unduly cold. From here until Thursday 00 the low drifts a little south west to be over the Dover Straits whilst the HP to the west ridges a tad north east thus creating a fairly strong north easterly across the UK. This would produce many shower's along the east coast, wintry in the north, and perhaps longer periods of rain in the south east, but the airmass is not particularly cold. From here the low quickly loses it's identity and the HP becomes more influential. As a footnote I have to say the latest EC46 is quite encouraging.